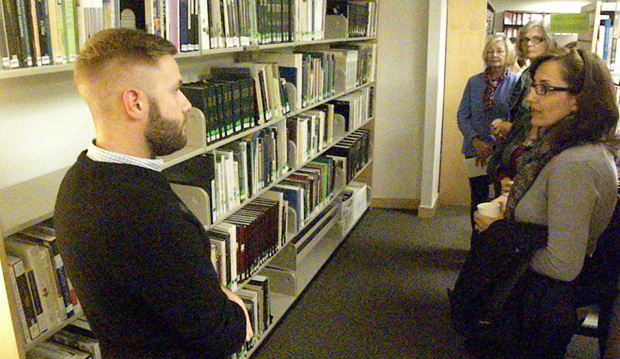 On Tuesday October 23, we celebrated the launch of a new special collection within the Weston Family Library: The Toronto African Violet Society (TAVS) Collection. 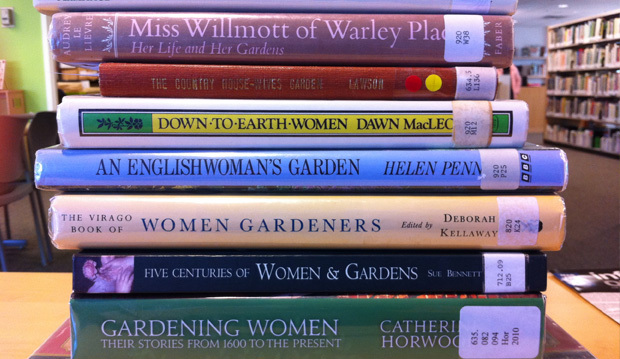 The TAVS’ own library has a new home in a dedicated area of our shelves, and these materials will be available for all library users. 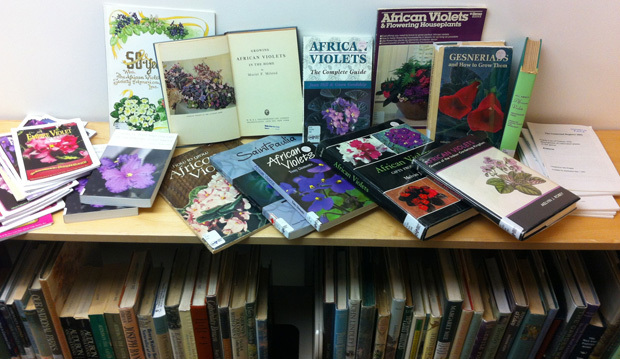 Similar to the Southern Ontario Orchid Society (SOOS) and Toronto Herb Society special collections, the addition of the TAVS collection enhances our library through the specialization of resources in the areas of African violets and gesneriads. 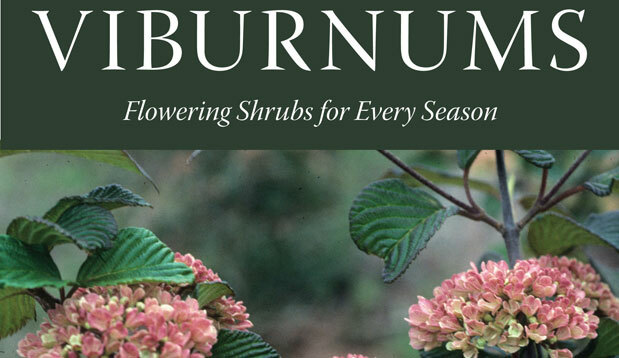 Their collection also includes DVDs, CD-ROMs, resources for shows and exhibitions, and several magazine titles that are new to the library: Chatter, The Empire Violet Magazine, The Gesneriad Register, and Selbyana: The Journal of the Marie Selby Botanical Gardens. 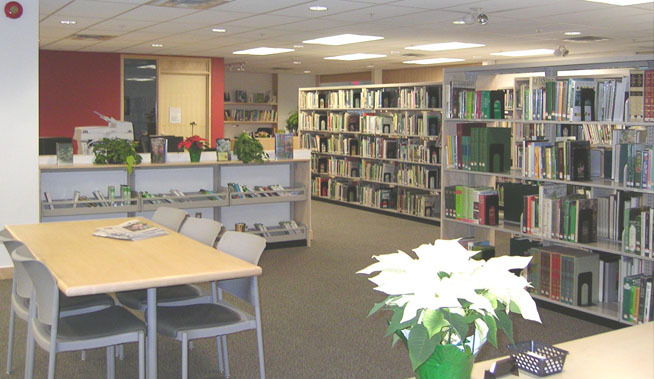 The TAVS Collection is located in the south-west corner of the library. Come check it out! To learn more about the Toronto African Violet Society, click here. Private gardens of the Northumberland Hills, (2011). Merilyn Simonds, A new leaf, (2011). Ellen Ecker Ogden, The complete kitchen garden, (2011). Thomas Christopher, The new American landscape, (2011). Marcia C. Carmichael, Putting down roots, (2011). Bernard Schwartz, The Midwestern native garden, (2011). Jane Roy Brown, and Langdon Clay, One writer’s garden, (2011). Sundari Elizabeth Kraft, The complete idiot’s guide to urban homesteading, (2011). Rosalind Creasy, Edible landscaping, (2010). Mary Anne Blair Fry, A century of cultivation, 1911-2011, (2011). How does my garden grow, (2012). Jim Cootes, Philippine native orchid species, (2011). Janette Haase, From seed to table, (2009). Leah Rottke, The home orchard handbook, (2011). Nigel Dunnett, Small green roofs, (2011). Lauren Springer Ogden, The undaunted garden, (2010).